Located in Paschim Vihar Cafe Kaafi Kuchh is a small cafe run by an MBA and a Hotel Management husband-wife duo. Their menu boasts of a variety of delicious dishes and the best part is that it's all vegetarian. This makes it a must visit for the vegetarian folks. 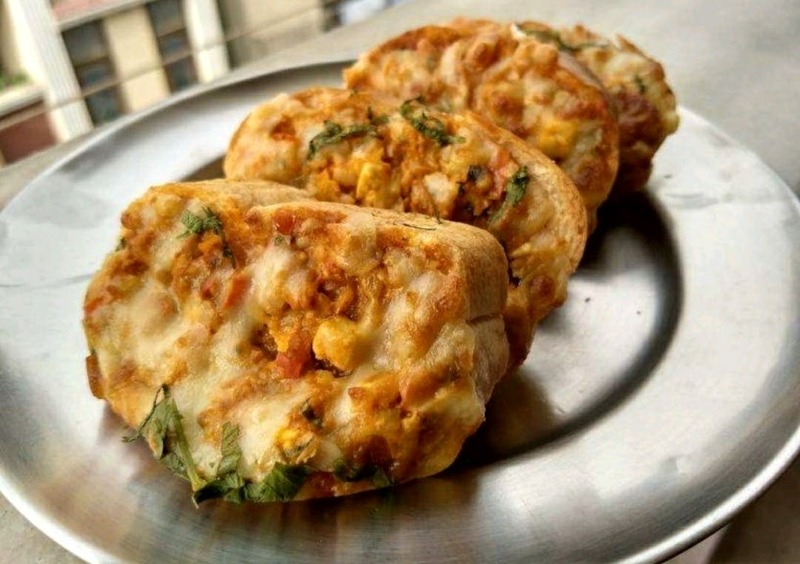 From a great selection of burgers, wraps, pasta, pizzas, garlic bread, and more, my top picks would definitely be the Makhani Paneer garlic bread, grilled paneer wrap, and the baked red sauce pasta. Apart from all these sumptuous dishes, one can try their refreshers, milkshakes, and pancakes. Yes, that's right, while every other cafe is serving waffles, Cafe Kaafi Kuchh has gone a different way to bring you some oh-so-yummy pancakes. This cafe is still pretty new and they are working on improving their services, so when you visit the place or order in don't expect something lavish.